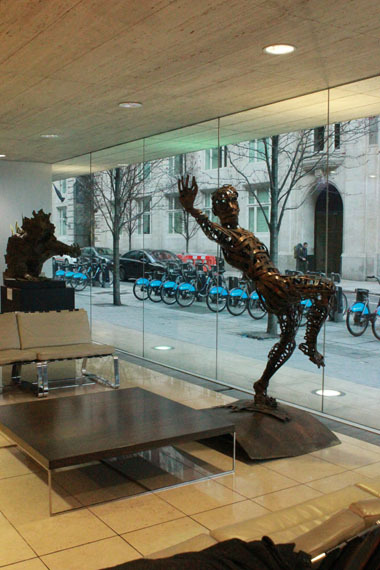 Hay Hill Gallery is proud to present in co-operation with ARTful Ltd the sculptures of Andrew Cheese at 100 Leman Street. 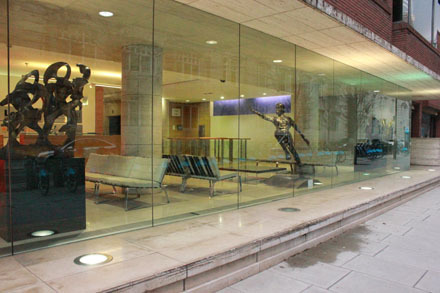 This beautiful glass fronted building is an ideal home for these striking works, a perfect combination of clean lines against rustic patinations. 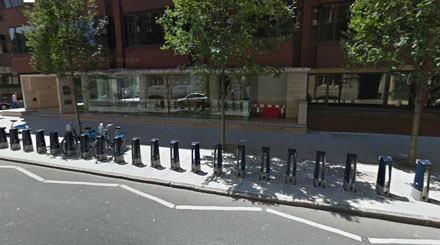 Despite its reputation as a modern business location, Leman Street is shrouded in mystery, hiding an underground ‘ghost’ station which was bricked up in 1941, never to reopen. 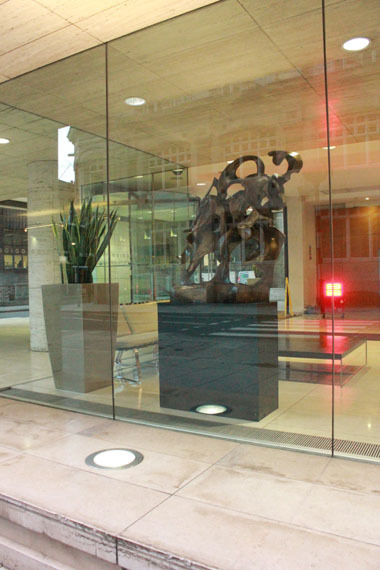 Just a short walk from the DLR at Tower Hamlets tube station, Leman Street is now easily accessible to visitors to the exhibition. 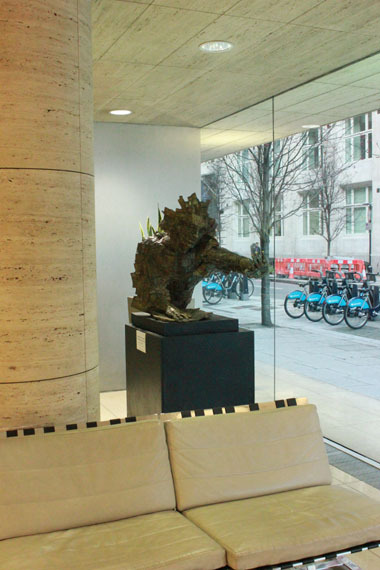 Unafraid to experiment with his work, Andy Cheese often uses a broad range of materials, including stone, resin, wood, steel and plaster. 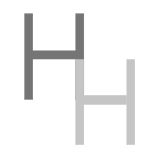 Taking the human figure as a starting point, he plays with the idea of revealing undercurrents of energy inherent within the static. 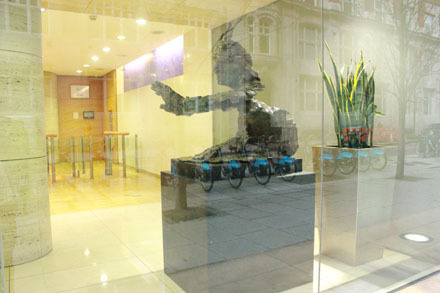 His detailed studies into the movement of everything from dancers to kinetic machines, have led him to produce iconic sculptures such as the works on display at Leman Street: ‘Breaking Through The Wall Of Words’ is a dynamic bronze portrait cast from old printing press letters; ‘Energy’ is a man wound tightly out of copper ribbons springing forward, or falling back; the abstract ‘Movement’ is a sprinter in a race or dancers balancing. 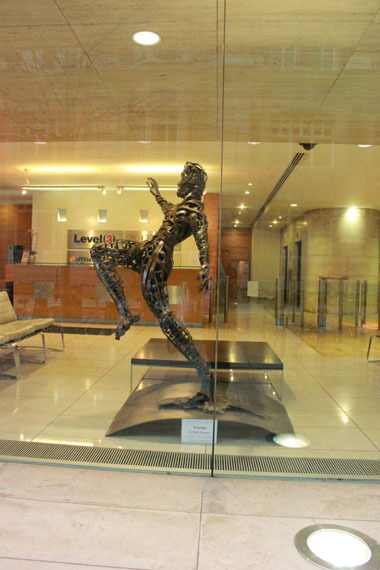 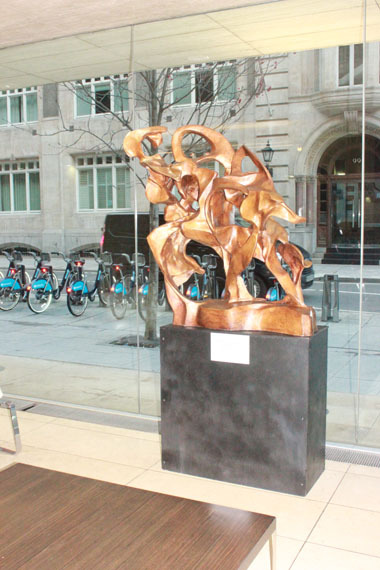 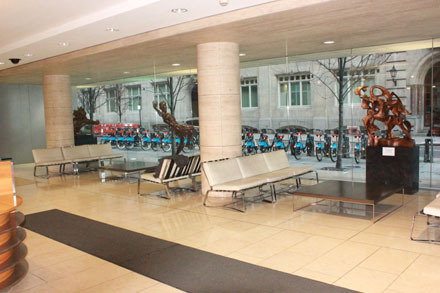 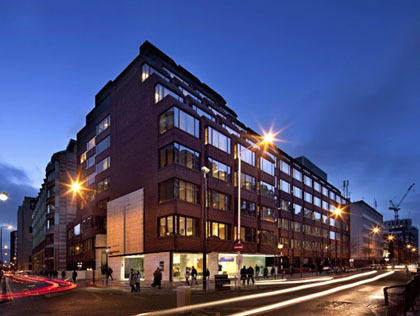 In association with Hay Hill Gallery, the sculptures will be on show at 100 Leman Street until the beginning of July 2014.